Traditional Homes Loves Ceilings Too! We’ve already confessed our obsession with ceiling details so you can imagine our excitement when we opened the latest issue of Traditional Home magazine and found an article dedicated to ceiling design. The article states “it’s unfortunate that ceilings are so often neglected, since their expansive surfaces provide plenty of potential for enormous impact” and we couldn’t agree more. 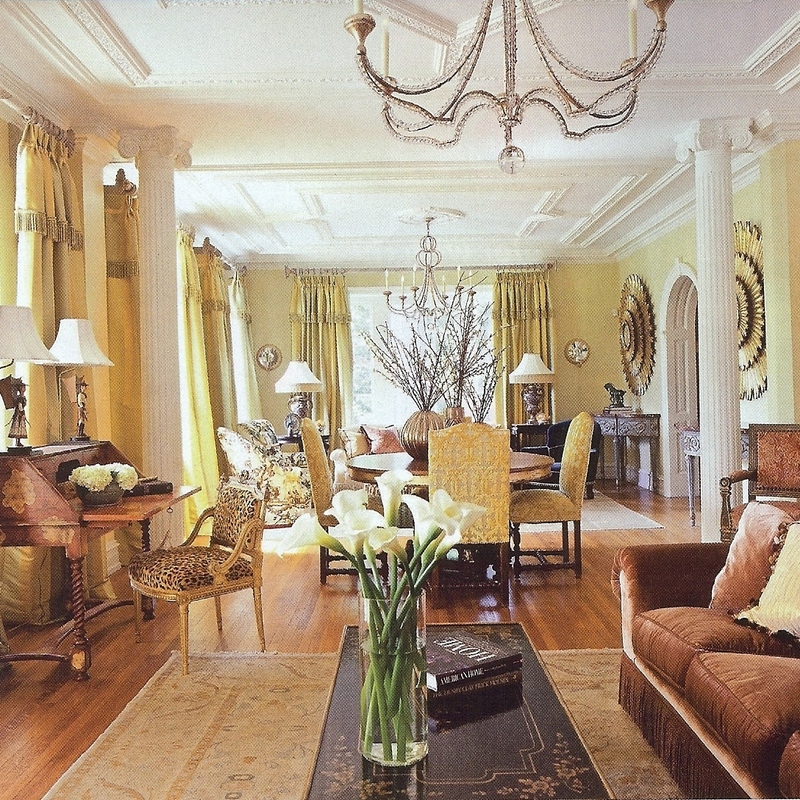 Three spaces from recent showhouse homes were featured. 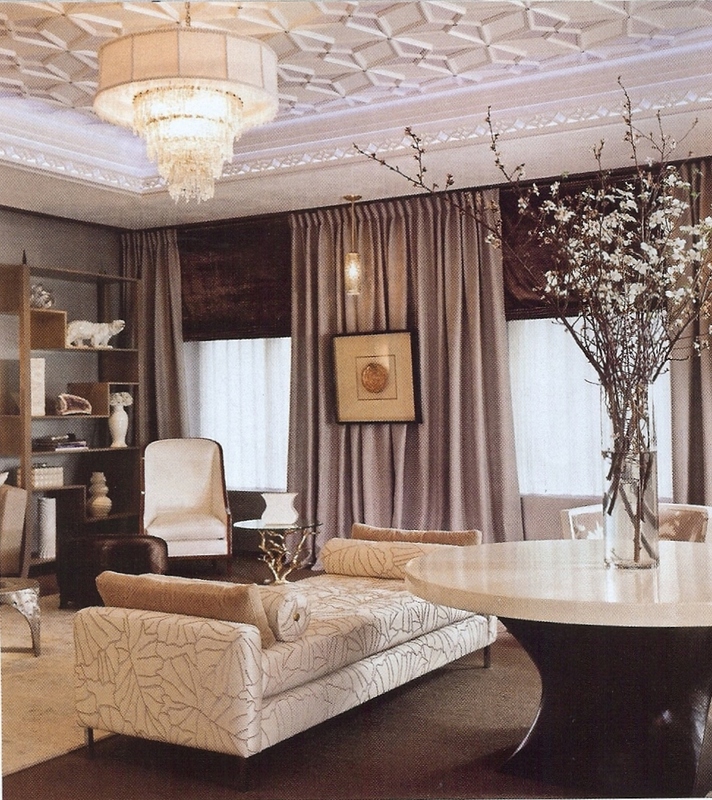 The real star of this room is the ceiling which is done in hand cast plaster in a geometric design. Pavarini believes that the most interesting ceilings have multiple planes, so he created many levels in this ceiling. The center of the lattice is the highest point of the molding. Can’t afford hand cast plaster? A similar pattern can be created using stock molding with just as much impact. Frank Ponterio wanted to soften the harsh linear lines in this classic coffered ceiling so he added medallions in each recess. A similar look could be achieved with stenciled patterns or prefab. appliques. For additional lighting, he added four pendants covered in muslin along with a center chandelier. Cathy Gigliotti used interesting architectural molding on the ceiling to delineate this long room into two distinct spaces. Each area has a similar but different ceiling detail. The molding and the identical chandeliers serve as the thread that ties each space together. Love the Niermann Weeks chandeliers used in the above picture but the price tag makes you faint? 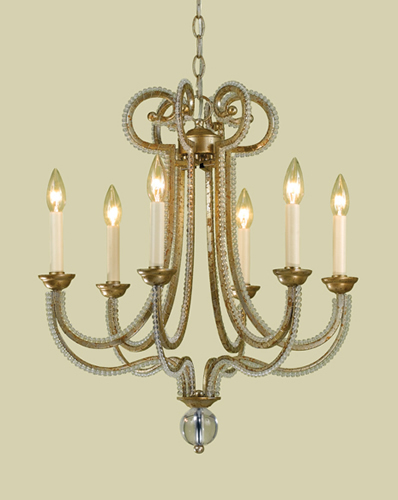 Candace Olson designed a similar chandelier for AF Lighting for a fraction of the cost. 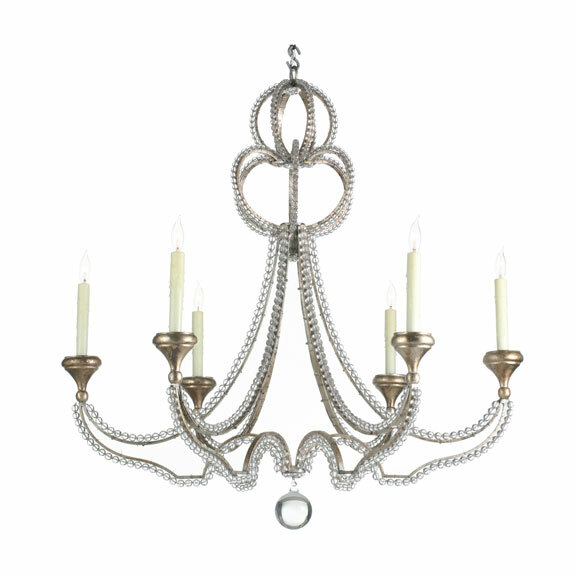 Niermann Weeks Danieli Chandelier $8,140.00 retail. Which ceiling are you loving? This entry was posted in Design Tips, Details. Bookmark the permalink. 2 Responses to Traditional Homes Loves Ceilings Too! I’m loving all three ceilings!! But if I had to pick one, it’d be the ceiling in the Vassar Showhouse. It’s a bit more subtle than the other two, but still has great impact. And I love how the two areas of the room have different ceiling detailing. What an amazing find!! You should totally tell Reichel at Copy Cat Chic about your lookalike chandeliers! Oh, and I love an interesting ceiling. One of my clients was heartbroken when she lost her (existing) hand-plastered ceilings in an extensive renovation. At least we gave her some coffers!